Although the summer hasn't shown his face here in Northern Germany, I managed to get a decent summer tan on my Rome vacation. Now, I am determined to prolong this tan as long as possible. 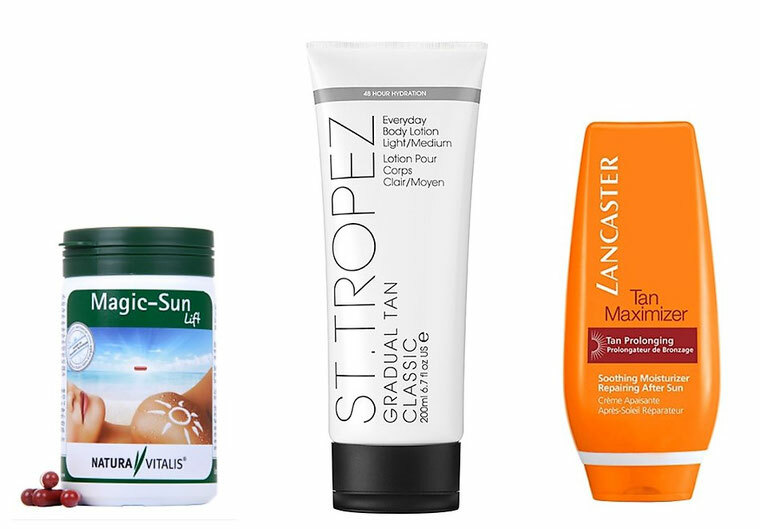 Here are my three favourite products to hopefully extend my tan into early fall. The Tan Maximizer is an after sun moisturiser. It contains a so-called Reinforced Tan Activator Complex aka TAC. 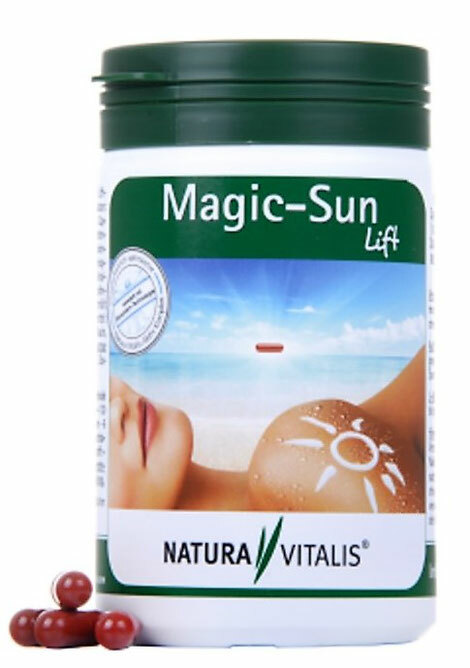 This magic ingredient prolongs the natural melanin release in the skin, to boost the tan as if you are still in the sun. All you have to do is to apply it daily after you sun exposure or your return from the holidays. I have used it several times, and it works. It not only prolongs the tan but also makes it appear more even and intense. You can use it on your body as well as on your face. This special formula comes with a price. You have to pay about 30€ for a bottle. This one is a new discovery of mine. I use it for about three weeks. So far, I like it. In contrast to the Tan Maximizer, it contains self-tanner. Depending on how often you use it you can build up a decent tan or prolong your already existent one. It comes in two shades light/medium and medium/dark. I use the light/medium one, and it enhances my tanned skin in a natural-healthy looking way. So far, no streaks or orange looking skin. I have to admit, I don't know how it performs on a not tanned skin, but from experience with other tanning products, I don't think the outcome is that different. Cost wise it is a little bit less expensive than the Tan Maximizer. Unlike my first two products, this one is not for external use, you have to swallow two capsules per day. I take them since the beginning of April, and my experience is different from what I expected. The main ingredients of these capsules are different kinds of melanin and copper. These two should boost the melanin production from the inside so that you look naturally tanned without the need of sun exposure. Well, this didn't work out for me. Even after months of taking them, I didn't see any visible changes in my tan. Nonetheless, I would still recommend this product because with additional sun exposure I tanned much quicker. Furthermore, no matter how long I expose my skin to the sun I don't get sunburned anymore. Also, self-tanning products work so much faster on my skin. I only need one application to achieve my desired result. In general, I believe these capsules are a great way to protect the skin from sun damage and photo-ageing. You can get them here. That's it from my side. What are your tips to prolong your summer tan?